When your fans hear your album for the first time, it will be an intricate cocktail of sound. When your fans hear your album for the first time, it will be an intricate cocktail of sound. In the studio, however, you want to hear the mix straight-up with no artificial sweeteners. 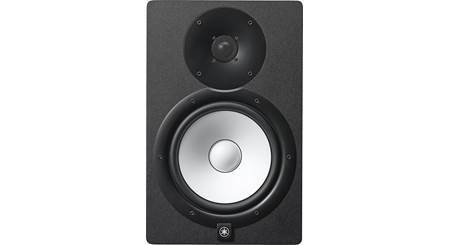 Yamaha's legendary studio monitors use an advanced design to produce sonically pure playback. 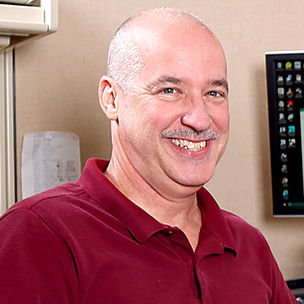 Enjoy accurate imaging and high resolution while maintaining a flat response that tells you exactly what you have, so you can decide what needs to happen next. Separate amplifiers drive the woofer and tweeter for maximum fidelity. The 6- 1/2" woofer in the Yamaha HS7 uses a large magnet to produce well-defined mids and add a little more low-end response, whether you're recording the thunder of a kick drum or the plummy resonance of a stand-up bass. The 1" dome tweeter delivers superb clarity and efficiency up to 30,000 Hz, where vital overtones live. The woofer and tweeter are driven by separate high-performance amplifiers to ensure smooth, honest response at every volume level. The HS7 accurately reproduces full-range sound down to 43 Hz. 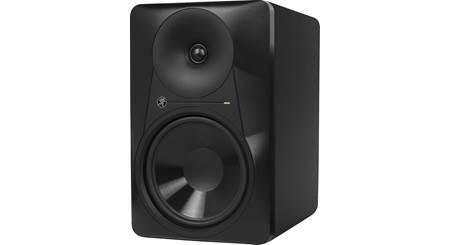 If you happen to need a little more bass, supplement your monitors with Yamaha's studio-grade HS8S subwoofer. When you're building a track from scratch, the devil is in the details. Yamaha draws on decades of deep experience to ensure that no unwanted noise creeps into your pristine studio sound. They borrowed a three-way mitred joint technique from their piano design to enhance durability and eliminate unwanted resonance in the HS line's solid MDF cabinet. The rear port has been painstakingly re-engineered to eliminate any chuffing from misdirected air. The control panel on the back of each monitor is clearly marked and intuitive. Each monitor has a built-in XLR connection and a 1/4" TRS jack so you can direct balanced input where it's needed. If your room isn't as sonically perfect as you'd like it to be, use the room control switch to roll off frequencies below 500Hz by -2 or -4 dB. If it's the high end that's bouncing around and driving you batty, the high trim switch gives ±2dB of flexibility above 2kHz. 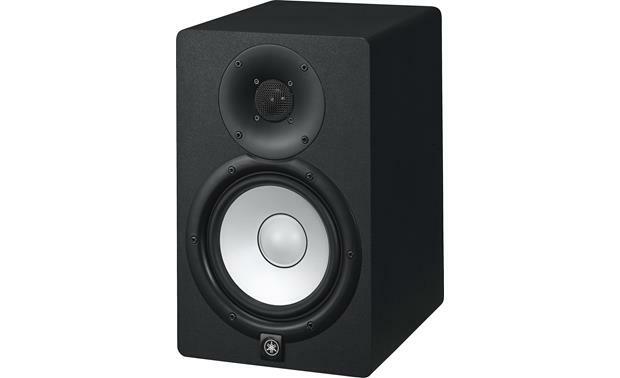 HS-Series Studio Monitor: Yamaha studio monitors are designed to achieve the best possible mix by ensuring that the sound from your speakers is true to the original. HS Series nearfield reference monitors are the embodiment of this philosophy, delivering a concise sound image, high resolution, and flat response. Two-Way Speaker Design: The HS7 studio monitor features newly developed transducers that achieve astonishingly smooth response over a wide range of bandwidth. These transducers utilize an advanced magnetic field design that regulates the flow of magnetic response to provide seamless, natural sonic transitions. 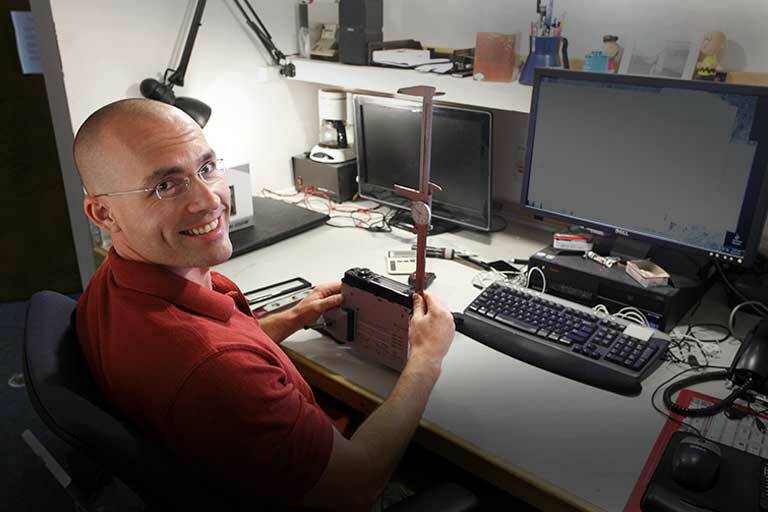 Each component's materials and design were carefully re-examined, then optimized, to drastically improve the accuracy of signal reproduction throughout the audio spectrum. 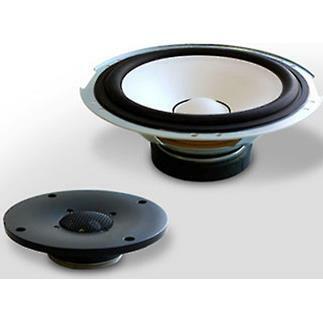 Tweeter: The HS7 features a newly designed, highly efficient 1" dome tweeter that extends the usable frequency range considerably and delivers superb high-resolution sound. Utilizing a thick wave guide designed to minimize vibration the new tweeter is able to deliver smooth, distortion-free high end up to 30 kHz. 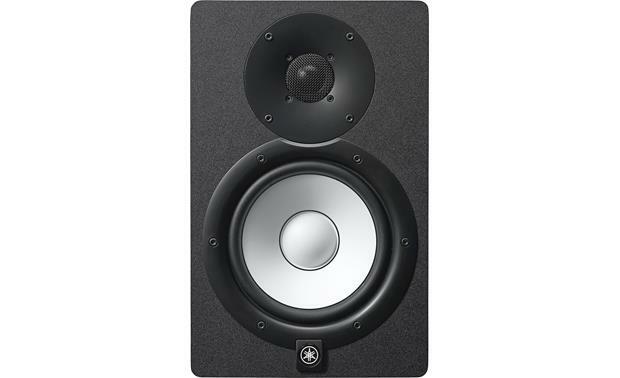 Woofer: With a newly designed, ultra-responsive 6.5" woofer that utilizes large, carefully selected magnets, the HS7 studio monitor produces low distortion sound with a well-defined bottom end at any output level. All of the components in this high-power woofer, including the woofer ring and the basket further contribute to the HS7 stunning bass while providing clear, accurate mids. Bi-Amp Amplification: The HS7 studio monitor speaker employs a 85W amplifier unit perfectly matched to the included drivers. Featuring a bi-amp design with a separate dedicated amp for both the woofer (60W) and the tweeter (35W), this amplifier unit ensures that the HS7 consistently delivers high-resolution sound with exceptionally flat response across the sound spectrum. Low Resonance Enclosure Design: The HS7 cabinet is designed to eliminate unwanted resonance and increase the accuracy of sound reproduction to their extreme limit. The enclosure is constructed from a very dense and resilient MDF with a damped acoustic response that is perfectly suited for reference monitors. Drawing from Yamaha's over 100 years of piano design experience, HS Series engineers also employed a traditional three-way mitered-joint technique. Common to architectural design this construction firmly anchors the corners of the enclosure to dramatically improve durability and eliminate unwanted resonance that can influence overall sound. 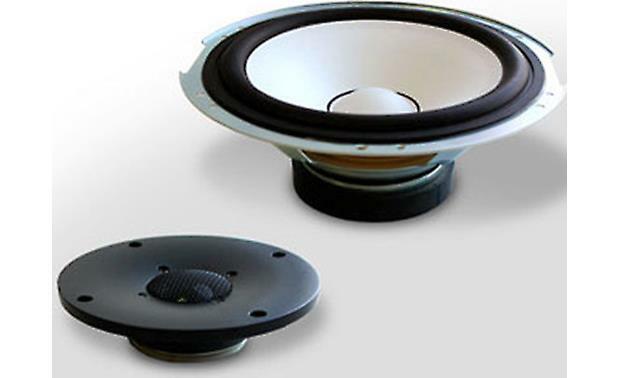 Noise Reduction Port Technology: Speaker port design can greatly influence the clarity of overall sound. Often a vortex at the either end of the port can generate air vibrations inside of the port, causing unwanted noise. By adopting an advanced noise reduction technology that incorporates a thorough analysis of a visual representation of the sound, Yamaha's engineers are able to control and reduce the vortex. Through this in-depth analysis Yamaha arrived at the ideal rear-firing port design, resulting in a reduction of audible noise up to 6dB. The utilization of this state-of-the-art technology allows HS Series studio monitors to meet the demands of more strict professional production environments. Audio Controls: The Level Control adjust the output level of the speaker. When set to the 12-o'clock position , the speaker is optimized for a nominal input level of +4dB. 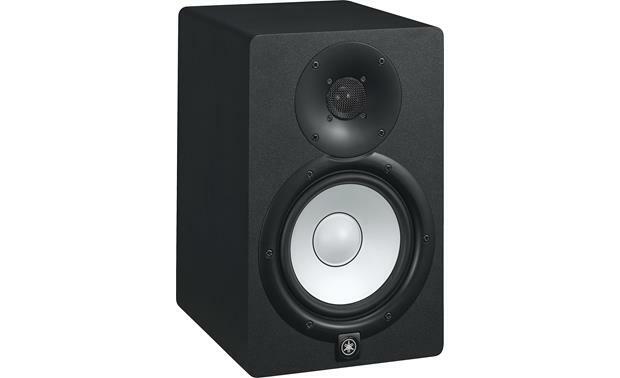 The HS7 studio monitor also features two response controls with detailed settings that allow them to adapt to the surface acoustics of rooms of varying shape and size. The Room Control setting allows you to attenuate the unnatural, exaggerated low-end that can often occur when speakers are placed next to walls. The High Trim setting allows for more flexible control of high frequency response. Dual Inputs: For inputs, HS7 studio monitor can accommodate a wide range of balanced and unbalanced sources such as mixers, keyboards, and audio interfaces with XLR and TRS phone jacks. The studio monitor features one balanced XLR connector and one balanced phone jack. The XLR and phone jack inputs cannot be used simultaneously. Use only one input connector at a time. 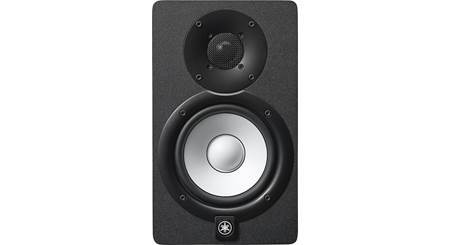 Placement: A number of points should be observed when laying out a monitor speaker system. Position 5' Away From Wall or Corners: Ideally, the speakers should be located at least 6.5"away from walls or corners. Position Left/Right Speakers Symmetrically: The left and right speakers should be positioned as symmetrically as possible in relation to the room. In other words, the left and right speakers should be the same distance from the rear wall and the respective left and right walls. 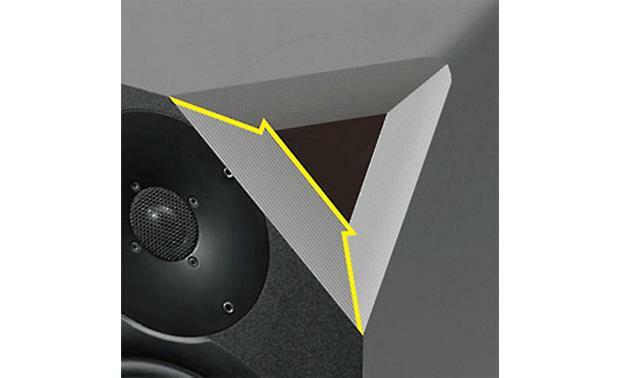 Equilateral Triangle Positioning: For the most accurate sound and balance, position yourself at the apex of an equilateral triangle formed by the left and right speakers and yourself, with the speakers angled inward so that they're facing you. Tweeters at Ear Level: High frequencies are quite directional, so for the most accurate monitoring the speakers should be set up so that the tweeters are at approximately the same height as your ears when you're seated at the listening position. Optional Sub: Adding a powered subwoofer (like the Yamaha HS8S, sold separately) to your monitor system can significantly improve its low-frequency fidelity, making it possible to create better overall mixes. 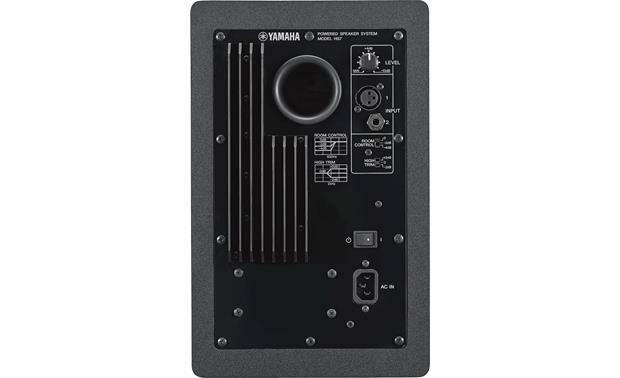 Searches related to the Yamaha HS7 2-way powered studio monitor with 6-1/2" woofer and 1" tweeter.